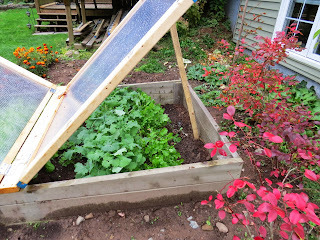 I love getting photos from gardeners.. especially photos of their cold frames! 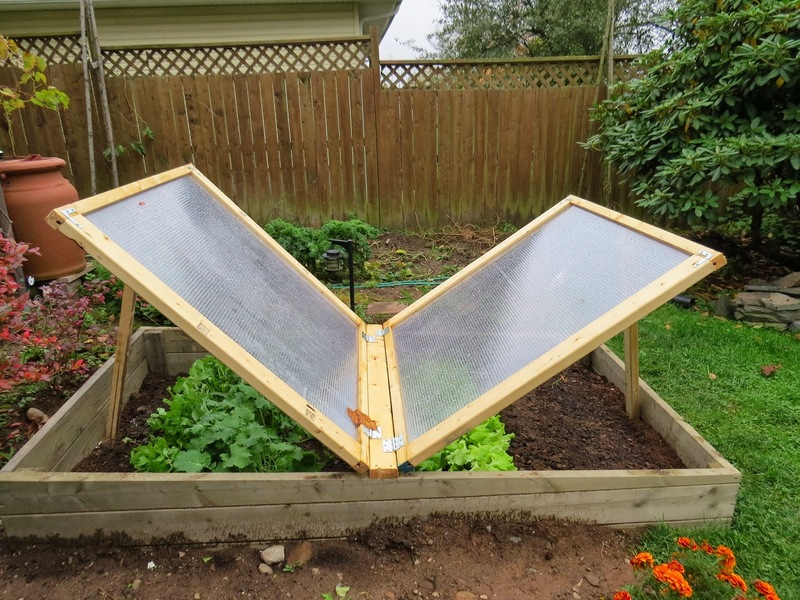 Linda, a local gardener, just sent me these pictures of her brand new double cold frame. Amazing, eh? In total, it measures 4 by 8 feet. The two tops make lifting and tending/harvesting the veggies easy - and it's much lighter to lift than if she had created a single 4 by 8 foot top. She prepared the garden bed first, planting salad greens, carrots and kale, and then she and her husband built the frame around the bed. They used local spruce for the box and Lexan for the top, which they found at Halifax Seed. 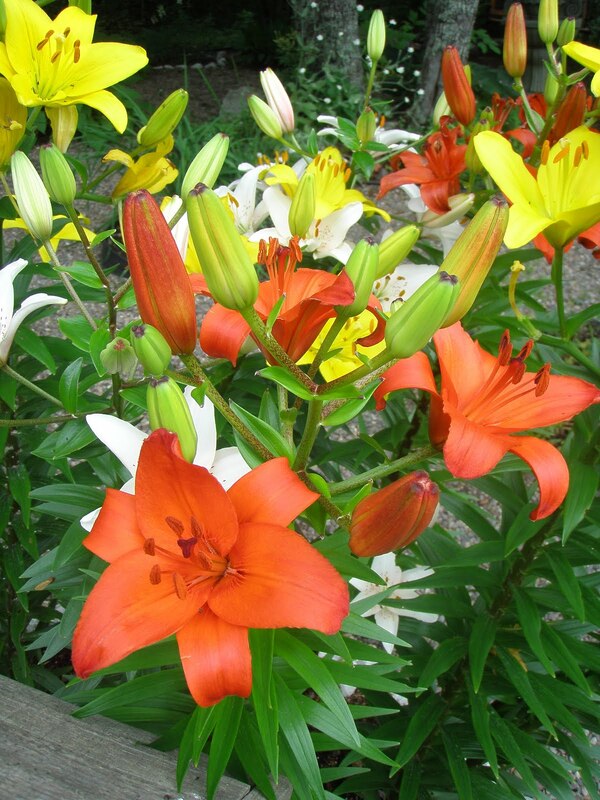 Thank you SO much for sharing this with me Linda! 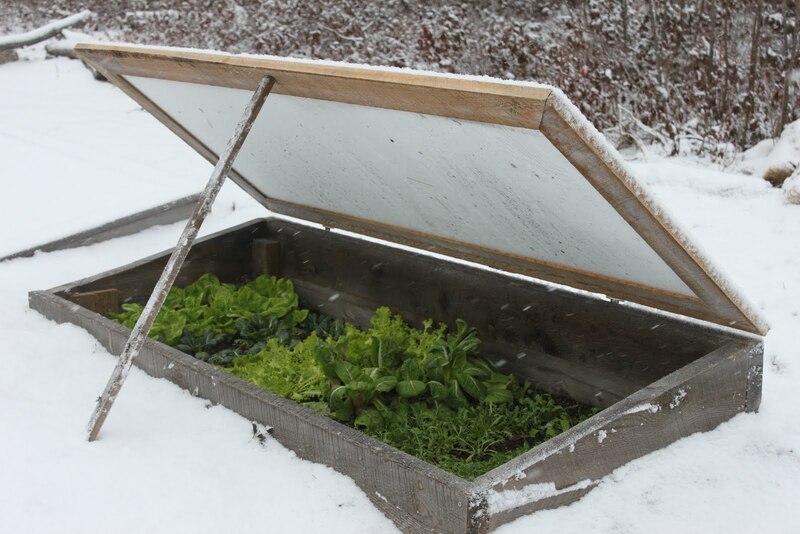 Keep us posted on your cold frame adventures! THIS is what I want for Christmas. But, I want it now. NICE!! Very Nice! 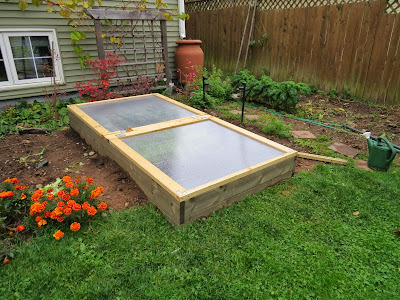 I garden year round here in New England using cold frames (mini-greenhouse) that I designed and built. 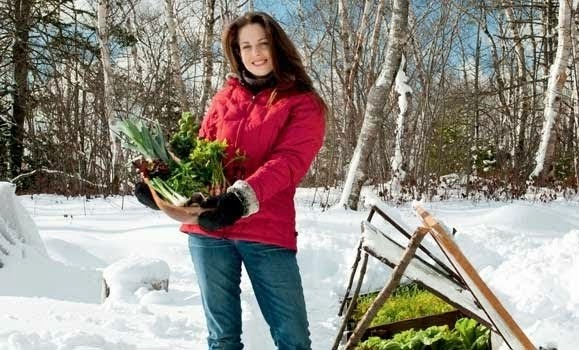 They hold up very well in our cold and snowy winters and provide us with fresh greens year round. My plans are available for free download and I also have a set for sale which includes full materials & cut list and assemble instructions. This is really nice. 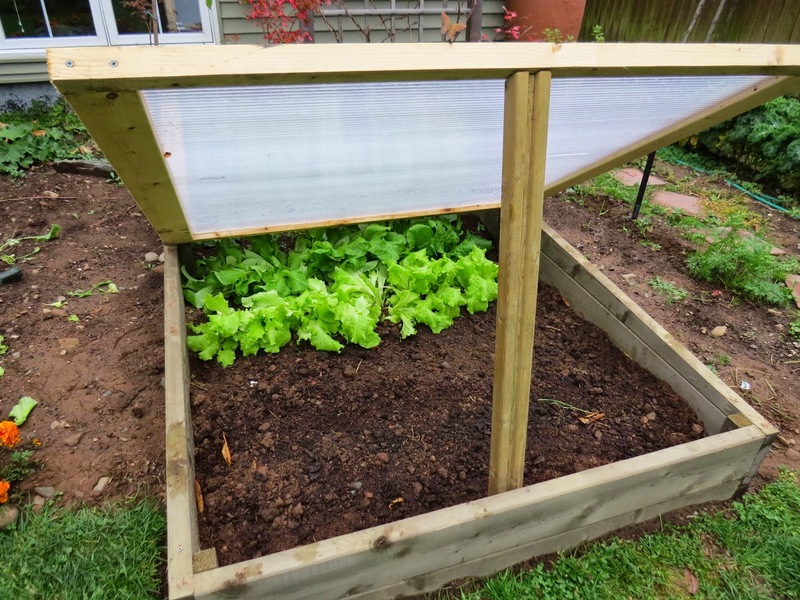 Cold frame and greenhouse are the best things that can help a person become four-season gardener. 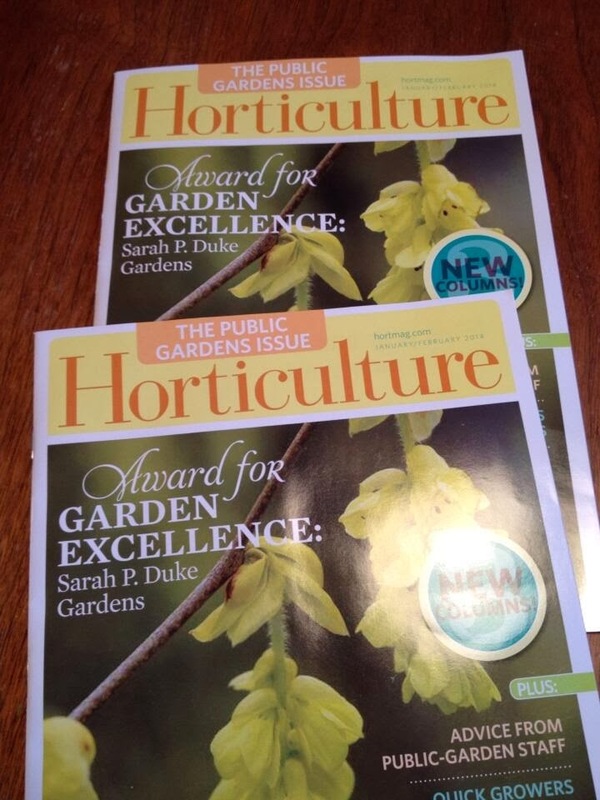 I also love to do gardening and grow seasonal fruits and vegetables. I am really happy with the cold frame greenhouse and enjoying the fruits and vegetables that I am growing there.